Labels play an important role, when it comes to making a focal point to catch eyeballs. Animiz prepares 4 types of labels for you. These labels are Mosaic, spotlight, highlighter, and blur. Apply them with simple clicks as follows. 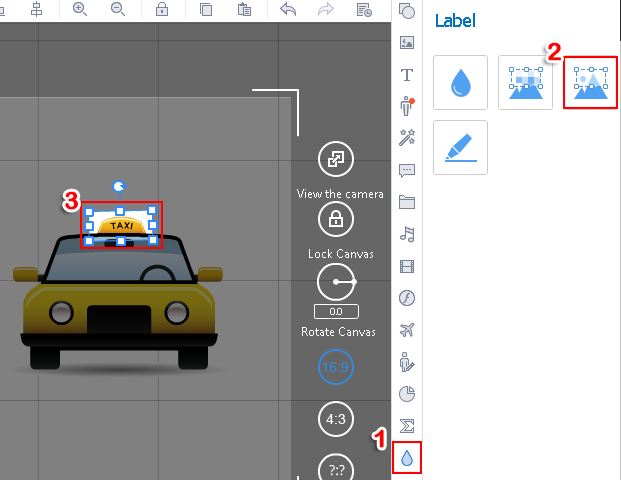 Click the "Symbol" icon, select one label to apply it. Next：How to manage My Library?